"I fall/And I fall/And I fall/And I stay where I am." 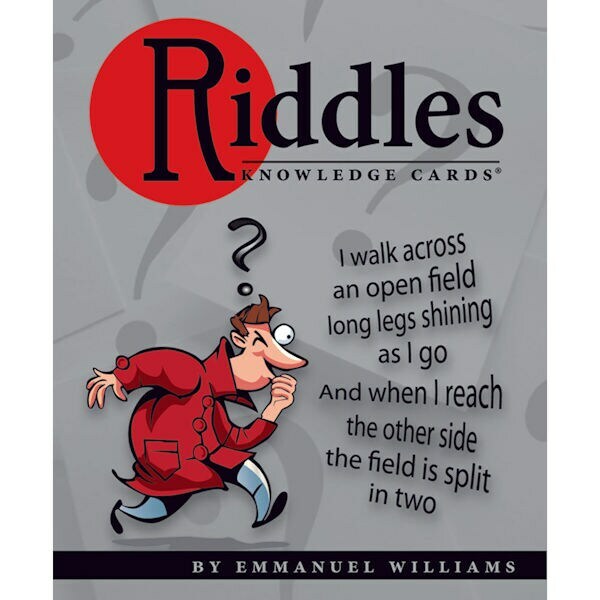 If you guessed "waterfall," then you're ready to tackle our wise and witty Riddles Knowledge Cards! These forty-eight head-scratchers will give your brain a workout, the exercise as beneficial to your mind as a jog around the block is to your body. Better yet, have a blast quizzing your friends!